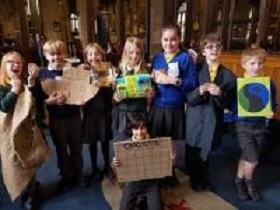 On Friday 18 May at Halifax Minster will be the fairandfunky Fairtrade Conference for Primary schools. The fairandfunky Fairtrade Conference brings together Primary Schools from across Calderdale to celebrate World Fair Trade Day. The conference will ignite enthusiasm and interest in both pupils and teachers to maintain awareness and understanding of Fairtrade and how it can be taught within busy classrooms. Interactive workshops involving creative arts, drama, and real life stories, from fairandfunky, Fair Grounds, Fair Connections and Suma Wholefoods will take delegates on a Fairtrade Adventure around the world and discover how to take a break with Fairtrade! 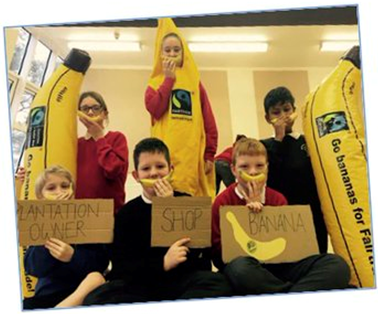 The conference is supported by The Fairtrade Foundation and Eco-Schools, and will help schools progress on both the Fairtrade Schools Award and ‘Eco-Schools’ journey. During lunch delegates will be able to enjoy networking opportunity with sponsors and workshop providers and shop in the ethical marketplace. The event will close with certificate presentations from Holly Lynch MP. This entry was posted in Events, May, Young People and tagged Calderdale Schools, Fairandfunky, Halifax Minster.